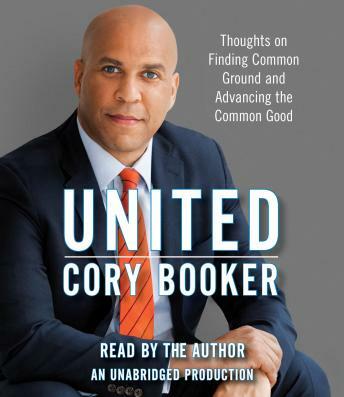 NEW YORK TIMES BESTSELLER • United States Senator and 2020 Democratic presidential candidate Cory Booker makes the case that the virtues of empathy, responsibility, and action must guide our nation toward a brighter future. Raised in northern New Jersey, Cory Booker went to Stanford University on a football scholarship, accepted a Rhodes Scholarship to Oxford University, then studied at Yale Law School. Graduating from Yale, his options were limitless. He chose to move to a rough neighborhood in Newark, New Jersey, where he worked as a tenants’ rights lawyer before winning a seat on the City Council. In 2006, he was elected mayor, and for more than seven years he was the public face of an American city that had gone decades with too little positive national attention and investment. In 2013, Booker became the first African American elected to represent New Jersey in the U.S. Senate. Here is his account of his own political education, the moments—some entertaining, some heartbreaking, all of them enlightening—that have shaped his civic vision. Here are the lessons Booker learned from the remarkable people who inspired him to serve, men and women whose example fueled his desire to create opportunities for others. Here also are his observations on the issues he cares about most deeply, from race and crime and the crisis of mass incarceration to economic and environmental justice. “Hope is the active conviction that despair will never have the last word,” Booker writes in this galvanizing book. In a world where we too easily lose touch with our neighbors, he argues, we must remember that we all rise or fall together—and that we must move beyond mere tolerance for one another toward a deeper connection: love.